Home > home > Scots operators to head south? Scots operators to head south? Putting bums on seats will be a major challenge for the construction plant industry in the next five years. And Scottish fleet owners could be faced with an exodus of operators heading south to meet a surge in demand. 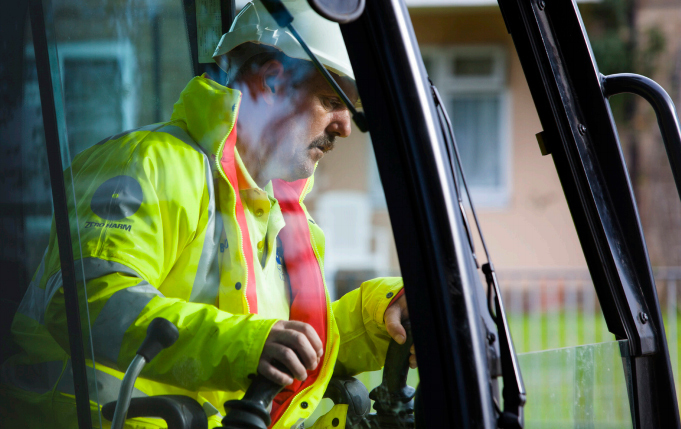 Too few recruits are coming through to replace an ageing operator workforce, training costs are prohibitive and CPCS card holders may not be good enough to be trusted with expensive equipment because it’s “quite easy” to achieve the qualification. Operators will be in high demand in the south east and Greater London. Those are some of the findings of a survey carried out for the Construction Plant-hire Association into the supply and demand of plant operatives over the next five years. It was undertaken by Skyblue Research to provide data for planning and implementing recruitment and skills programmes for both general and specialist plant workers. Demand for operators is expected to increase significantly in the next few years, especially in the South East (18%) and Greater London (14%), to feed major projects such as the HS2 rail scheme but in Scotland, it’s is likely to reduce by 1% over the same period. With a number of high-profile jobs including the Queensferry Crossing, Aberdeen Bypass and M8/M73/74 Improvements coming to an end, a huge amount of plant has come off hire and that could lead to operators chasing work in the south. Workloads in Northern Ireland and Wales are also forecast to show double-digit improvement. There are thought to be just under 4,000 plant operators in Scotland (UK 39,580). ♦ The Construction Industry Training Board announced last week it is to pull out of direct training and outsource the activity to the private sector. Its National Construction College is the biggest plant training provider in the UK and runs a £10m fleet.